Whilst recently browsing the online pages of No Depression, a comment was noted by a poster implying that Kacey Musgraves was leading the ‘fight for country music within the castle walls’. Regardless whether you have any opinion or not on the state of mainstream country, it is indisputable that the music flowing from this talented 25 year old Texan will challenge even the most ardent purist not to sit up and take notice. Kacey opened up this latest manoeuvre to build on her European fan base with a spellbinding show at a packed Ritz venue in Manchester and oozed with class throughout the entirety of her 85 minutes on stage. Not only is Kacey extracting every ounce of brilliance from SAME TRAILER DIFFERENT PARK in her stage show, her selected covers matched the moment and there is growing evidence that the classic album will be followed up in a similar vein. What struck me most about seeing Kacey for the first time is how she combined the roles of singer-song writing guitarist and acclaimed charismatic entertainer with such ease. Maybe the between song banter will evolve from mere saccharine irreverence to more incisive comment in time but at the moment the sophistication is in her lyrics and ability to further the cause of raising the bar for progressive country song writing. The songs of SAME TRAILER were pristinely delivered by Kacey and her band in their own inimitable style with the crowd lending a hand to numerous tracks, no more fervently than the passionate closer ‘Follow Your Arrow’ and the designated classic ‘Merry Go Round’. One of the more under rated tracks off the album ‘It Is What It Is’ rose to prominence during the set as a venue not normally the domain of silence was utterly besotted by a pedal steel led song so demanding in its quest for audience respect. Poor old ‘Dandelion’ was the only omission from the set list as the excellent ‘Silver Lining’ graced the early stages and ‘My House’ acting as the pre-encore number. The performance of the latter saw the band form an arc around Kacey and her harmonica as the crowd responded enthusiastically to the infectious beat of this song’s rhythm. To pay respects to the Queen of Country only a couple of days before they both improved the output from Glastonbury, Kacey looked every inch a protégé of Dolly when singing ‘Here You Come Again’. Her cover of the TLC hit ‘No Scrubs’ was a solitary blot on the evening as she edged into a style which didn’t connect, alternatively she put a smile on an awful lot of faces when sampling the Marley Classic ‘Three Little Birds’ in her own composition ‘Step Off’. It’s hard to class Miranda Lambert’s ‘Mama’s Broken Heart’ as a cover as Kacey had a part in writing it but her encore version of the Nancy Sinatra standard ‘These Boots Are Made For Walking’ was simply stunning. Accompanied by a literally lit up band and Kacey’s own sparkling boots, the song opened with a near gothic groove until Kacey took over before she ultimately let the band complete it with a touch of ‘off the leash’ rock. 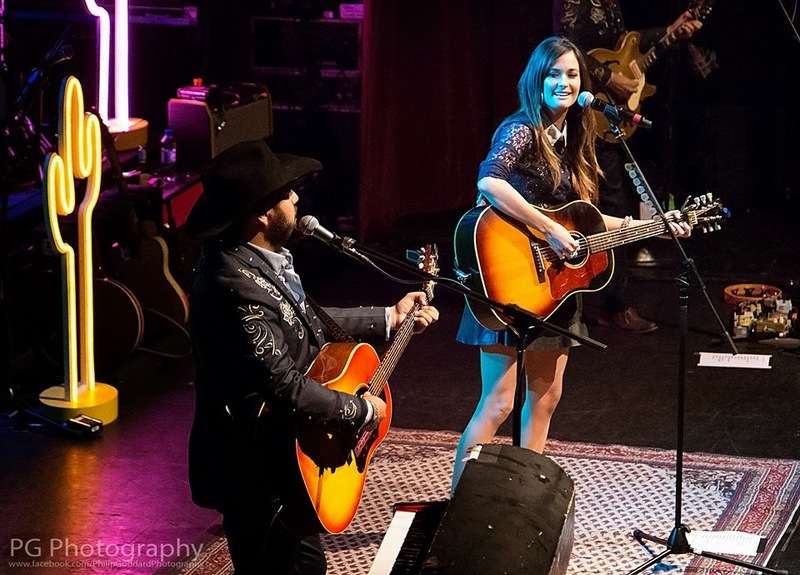 One of the high hopes from attending this gig was to get a glimpse of what the future holds for Kacey Musgraves. She admitted herself that a lot of new song writing had not taken place but was soon to be rectified. The You Tube clip of Kacey singing ‘The Trailer Song’ at the Opry has already aired this excellent country-drenched song to the online world and the news of its single release is the next big move for her. Make no mistake this song has the potential to thrill many country fans right across the spectrum and was one of the highlights of this special gig. A Manchester audience had already heard the unrecorded opening song ‘High Time’ when she played the city last October but the whole world was virtually getting ‘Cup of Tea’ previewed live for the first time. As you would expect, this song had instant appeal with an immediate positive crowd reaction. Support act John and Jacob from Birmingham, Alabama opened the evening but unfortunately the M6 was not kind to a Friday night after work dash and only the last few songs of their lively set were heard. However there was a glow of positivity about their performance and ‘Be My Girl’ from the Nashville TV programme came across well. If anybody was left unconvinced that Kacey is not the great unifying hope for country music then the band’s a capella rendition of the 1952 Roy Rogers and Dale Evans theme song ‘Happy Trails’ to end the show sealed the deal. 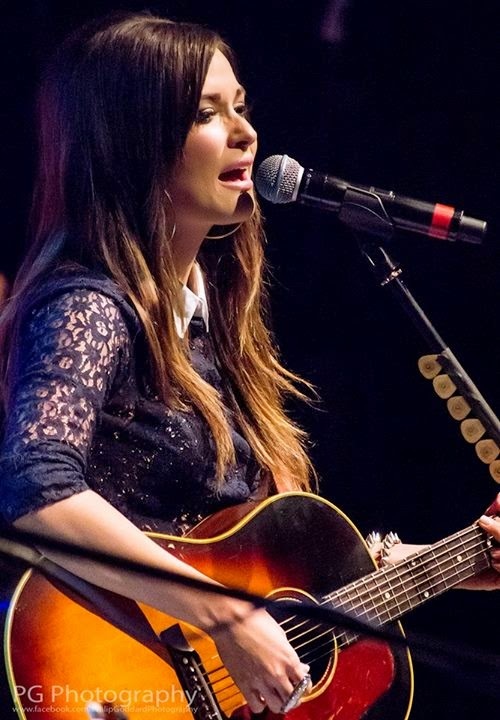 Whether she’s writing cutting lyrics, representing the genre in a crossroads alliance with Katy Perry or engaging with an ever increasing audience base, Kacey Musgraves is propelling herself into the ‘A’ list of country music performers. If there is a battle to be fought, then the purists will have no finer ally within the industry.